A public insurance adjuster, otherwise known as a claims adjuster, is a licensed professional who defends the policyholder’s case and gets them the monetary value that their insurance policy promised to help them get back on their feet. 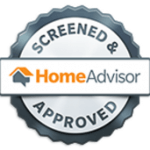 Basically, a good claims adjuster in Atlanta, GA knows the ins and outs of communicating with an insurance company and is ready to negotiate on the side of the homeowner. Are public insurance adjusters equivalent to lawyers? While public adjusters fulfill a similar duty to defense attorneys, they do not need a degree in law or a barrister’s education. They have a separate set of requirements and licenses that do not require a degree in law. What licenses do public adjusters have? There are requirements in each state for public adjusters. Some states require an apprenticeship, and all states require licensing exams. An aspiring insurance adjuster in Atlanta, Georgia may also be certified by the National Association of Public Insurance Adjusters. Do public insurance adjusters act as insurance agents? No. Insurance agents work for insurance companies. Public adjusters, on the other hand, work on behalf of policyholders and the policyholders only. They do not work for insurance companies nor do they work with any individuals working for insurance companies. What are the benefits of hiring a public adjuster and insurance appraiser services? A public adjuster and insurance appraiser ensures that you get the intended claims amount for your insurance policy. Negotiating your return from the insurance policy is like hacking down a tree with a herring. A public adjuster and insurance appraiser is better equipped, with licenses and experience in dealing with insurance companies. 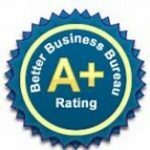 Why should I hire PACS Professional Adjusting and Consulting Service? We at PACS Professional Adjusting and Consulting Service offer free consultations so that we can discuss your situation with no obligations. Additionally, we only hire the best and brightest public adjusters to join us, so that you only get the best in the field. 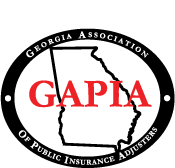 In addition, we are also a certified member of the Georgia Association of Public Insurance Adjusters or GAPIA. In almost every instance of a claim that we handle, we secure a better financial settlement. We are successful in not only getting full compensation for claims that insurance companies don’t pay but for those claims that are paid by insurance companies, we obtain the fullest and most complete financial benefit for our clients in place of insurance companies minimal compensation. Insurance companies have a financial interest in saving money. We don’t try to save them money, but instead, we get you what your Policy promises to pay – which is NOT saving money. The reason that we secure greater payments than the insurance companies often pay is that their payments are not full and complete as the Policy provides for you. If the insurance companies paid the right amount, then we would not have the history of success in recovering much better settlements. There are a number of facts that consumers should know when making an insurance claim, and those facts are being developed for publication from PACS. However, a key factor that most consumers don’t know is that policyholders have a much better outcome when they use their own restoration Contractor because your own Contractor works for you. 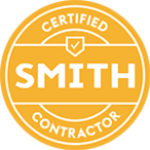 Contrarily, if you use the insurance company’s restoration Contractor, that Contractor is indirectly paid by the insurance company with your benefits, and those Contractors follow the protocols of the insurance companies, not your preferences. Insurance policies can be used to avoid paying the full and complete amount owed based on their language options. However, a trained professional, especially at the Expert level, can also apply the Policy language to demonstrate that the full and complete amount is due. Most non-Expert Adjusters don’t have the training to fully understand all aspects of an insurance policy. Even some Attorneys struggle with fully understanding insurance policies. You need an expert claims adjuster in Atlanta, GA who is highly competent in order to gain everything that you deserve and to make the policy perform for you what it promised when you bought it. © 2019 PACS Professional Adjusting & Consulting Service, LLC..